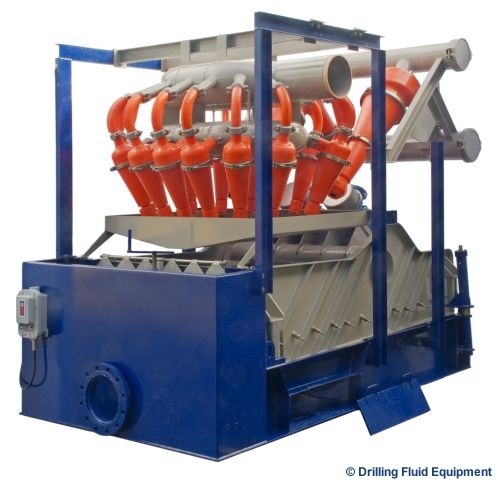 Desilters and Desanders are used to process large volumes of drilling fluid to remove abrasive sands and silts that shale shakers cannot remove. DFE Desilting and Desanding hydrocyclones are made from high density abrasion resistant polyurethane. 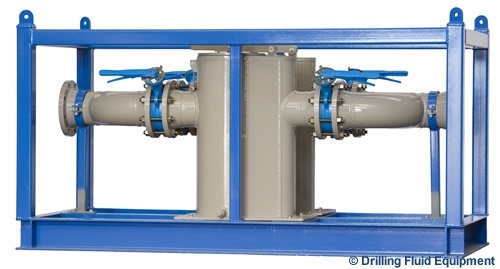 The unique internal manifold design minimises the back pressure on the hydrocyclones maximising the solids removal. Fine tuning is achieved through adjustable orifice openings at the discharge point on the cone. Both Desilters and Desanders are available in a large range of configurations including stand alone, over a shaker as a mud cleaner or packaged with a supply pump as a mobile desilting unit. Please contact your nearest DFE office to discuss applications and appropriate technical specifications. All can be customised on request.